In October 2017, acalabrutinib (Calquence) joined ibrutinib (Imbruvica) as another FDA-approved BTK inhibitor for patients with mantle cell lymphoma (MCL). Questions remain on which agent physicians should administer first to their patients, as there are currently no head-to-head comparison data. However, results with acalabrutinib appear to be similar to that of ibrutinib but with better tolerability, according to Brian T. Hill, MD, PhD. Ibrutinib was granted FDA approval for the treatment of patients with MCL in 2013, based on the phase II PCYC-1104 trial. Ibrutinib demonstrated a 68% overall response rate, a 21% complete response rate (CR), and a median duration of response of 17.5 months.1 The median progression-free survival was 13.9 months with an estimated overall survival at 18 months of 58%. The trial enrolled patients with relapsed/refractory disease who had received at least 1 prior therapy; 86% of patients were intermediate or high risk. The approval of acalabrutinib was based on the phase II ACE-LY-004 trial that demonstrated an objective response rate of 81%. The CR rate was 40% and the partial response rate was 41%.2 The median duration of response was not yet reached at the time of analysis, with responses ongoing at more than 20 months. The median time to best response was 1.9 months. In ACE-LY-004, 124 patients with relapsed/refractory MCL were enrolled. Most patients were intermediate risk and 37% had lymph nodes more than 5 cm. Seventy-three percent had extranodal disease. Regarding safety, the most common ibrutinib-related adverse events (AEs) in the PCYC-1104 trial were mild or moderate diarrhea, fatigue, and nausea. In total, grade 3 or higher hematologic events were infrequent and included neutropenia (16%), thrombocytopenia (11%), and anemia (10%). In ACE-LY-004, the most common any-grade AEs with acalabrutinib were anemia, thrombocytopenia, headache, neutropenia, diarrhea, fatigue, myalgia, and bruising. The most common grade 3 or higher AEs were neutropenia (15%), thrombocytopenia (12%), anemia (10%), and diarrhea (3.2%). 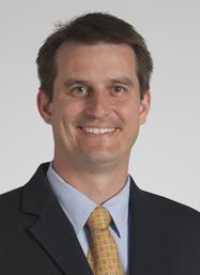 In an interview with OncLive, Hill, an assistant professor of hematology and oncology at Cleveland Clinic, shares more insight on acalabrutinib and ibrutinib’s efficacy in patients with MCL and highlights emerging novel strategies in the treatment landscape. OncLive: At this point, what do we know about how ibrutinib and acalabrutinib compare with one another in MCL? Hill: Acalabrutinib is a BTK inhibitor like ibrutinib. We do not have head-to-head data in CLL or MCL yet. We should get that head-to-head data in CLL eventually. Until then, we can say that the response rates for acalabrutinib are on par with those that are seen with ibrutinib and the tolerability seems to be better. Are there any other BTK inhibitors on the horizon? There are many companies with BTK inhibitors in development. Many of these are also covalent inhibitors that bind to the same residue as ibrutinib. Some of the noncovalent inhibitors in development may be able to overcome the point mutation in BTK that confers resistance to ibrutinib. Those are going to be of interest going forward. What combinations are currently being studied in MCL and which are showing promise? There is a lot of interest in combining BTK inhibitors with other agents. For example, the combination of ibrutinib with venetoclax is being tested. There is going to be a study that will combine ixazomib (Ninlaro) with ibrutinib. Ixazomib is an oral proteasome inhibitor that we know is active in MCL. Beyond that, we are combining ibrutinib with monoclonal antibodies, which will also be an interesting treatment strategy for MCL. Where are we currently with biomarker research in MCL in terms of response to treatment? We know that remission has been achieved by conventional criteria. There is a lot of interest in minimal residual disease (MRD) testing for MCL. MRD testing is becoming more integrated into clinical trials. For example, if you achieve a remission and are MRD negative for frontline chemotherapy treatment, you could be eligible for the current cooperative group trial, which is a randomization to autologous stem cell transplant or rituximab (Rituxan) maintenance therapy instead of transplant. Going forward, achieving MRD is going to be an important goal that will be an integral part of designing future prospective biomarker trials for MCL. What other novel agents or approaches are coming down the pipeline for treatment of MCL in the relapsed setting? It will be interesting to see how chimeric antigen receptor (CAR) T-cell therapy will play out for MCL. We have good outcomes with frontline treatment and we have reasonably good second- and third-line treatment with BTK inhibitors, rituximab, and venetoclax (Venclexta). However, to see a more durable response, there is interest with cellular immunotherapy and CAR T cells. Wang ML, Rule S, Martin P, et al. Targeting BTK with ibrutinib in relapsed or refractory mantle-cell lymphoma. N Engl J Med. 2013;369(6):507-516. doi: 10.1056/NEJMoa1306220. Wang M, Rule S, Zinzani PL, et al. Acalabrutinib in relapsed or refractory mantle cell lymphoma (ACE-LY-004): a single-arm, multicentre, phase 2 trial [published online ahead of print December 11, 2017]. Lancet Oncol. doi: 10.1016/S0140-6736(17)33108-2.